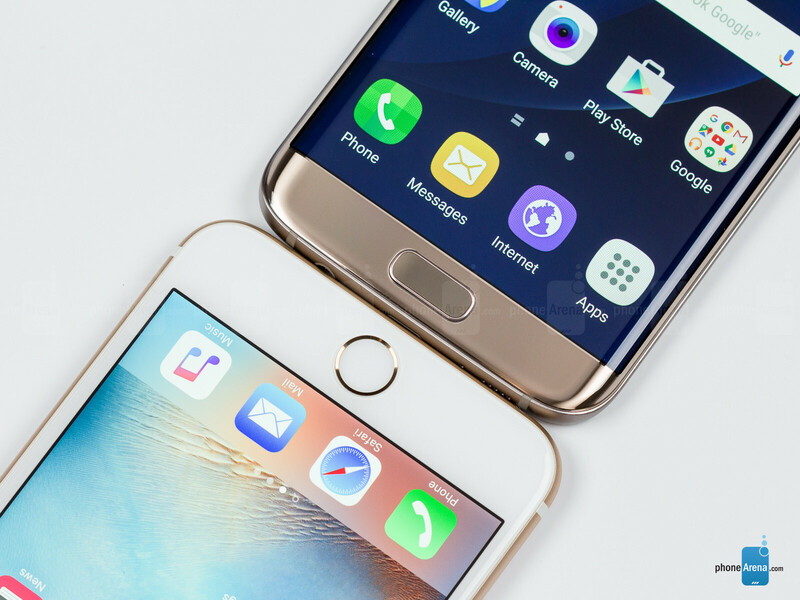 Samsung have beated apple in almost everything in the phone except in software that the only reason why apple is still selling more iphones than samsung. No. I wouldn't say the software is why Apple sells more phones. More of marketing prowess and the fact it's a USA company. Apple jump out first and created a sizable based, while it took the Galaxy Saturday 3 years to appear on seen and make a splash. Even though the S sold more devices if it's first 2 models compared to Apple, Apple had already established itself as the leader. The S has been better than the iPhone in so many ways it's hard to list. 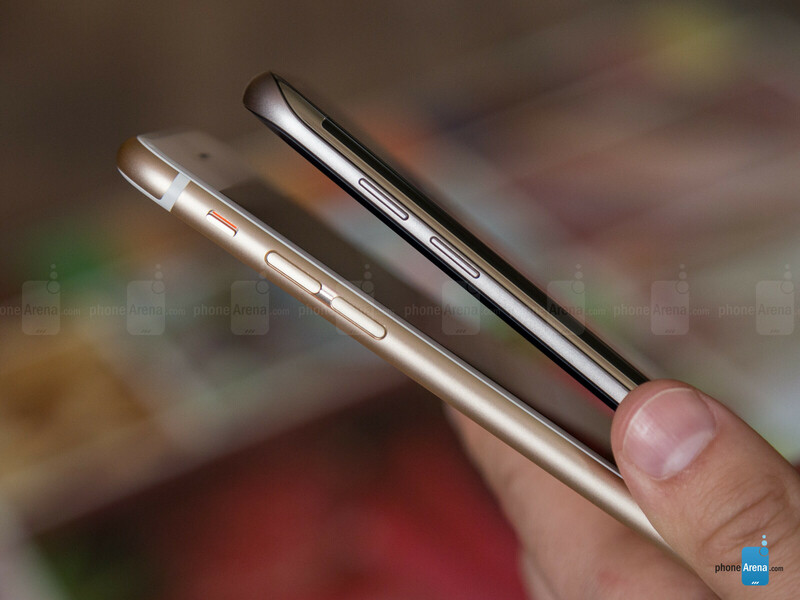 Samsung has proven that bigger is better and they don't better by making it bigger yet be smaller than the competition. Samsung is the Android sells eager having sold over 430M phones in a single year, with 50% of those sales just being from the S and Note. IOS to me is boring, not intuitive. After maybe watching youtube on the iPhone and playing a few games, there is nothing else to do with the phone. Compare to the S, the S offers its own benefits and features you can enjoy without launching a single app. This is a huge advantage to me. It's isn't better. It's less secire, it's smoother because it doesn't offer anything. No full multitasking, no splitscreen and many other things the South offers. Considering the S does way more and is equally as fast or faster than the iPhone shows how powerful it really is. Quote from TechieXP1969: "It's isn't better. It's less secire, it's smoother because it doesn't offer anything. No full multitasking, no splitscreen and many other things the South offers." Well said! The iPhone only has a small number of features and most of these features are not as technologically advanced as in the Galaxies. 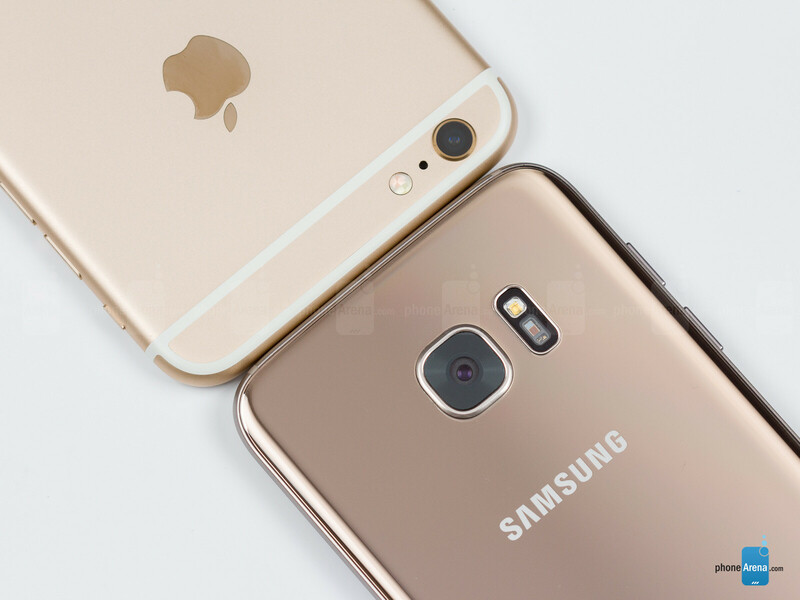 If the iPhone had as many features as the Galaxy, it would most likely run much slower than the Galaxy. Same s**t, different day. You post all this crap to say the same crap, you said in your last post. You said all that in post 18. If the iPhone doesn't have a single advanced feature, then just don't buy one. Problem solved whiner. Fair enough. But again dude...look at the price. Now look at the spec cheer. I am not talking just having specs to brag, what I am talking about are 2 phones that cost the same and why one is spec'd considerably less. No phone needs an octacore CPU. But the technology exists, so if I can buy a phone with it, it provides some benefit, then I buy it. We dont need 1440p...we dont need 1080p on a phone. But the S comes with 1440p, why could I pay the same price for an iPhone and only get 1080p? Just liek PA in their BS articles say 1440p is nothign more than bragging right, was it only bragging right when Apple at the time with the iPhone 4 for example, was it also just braggign rights? No, the iPhoen was considered better simply because they had a display that had a higher resolution and PPI vs the competition. But now that not the case, now its only just a bragging right because Apple no longer leads in this regard. Same about quality for the display. The IPS display Apple chose was very sharp, very bright in colors even to the poitn some colors were a bit saturate. It wa snever talked about in a bad way. Now Samsung has this and oh god PA especially makes it a point to talk about it, even though you can change the default mode to a more accurate color tone. SOmethign they rarely ever bring up to educate their readers. Because the point of PA isnt education. It to promote clicks by purposely bring in many cases half-assed truths, lied and to promote fighting in the posts to get more clicks. They dont care if you leave him as dumb as you came. Because fact is, you can't make money off smart people, you make money off dumb people. ASK THE BANKS. ASK MADOFF how he made-off with peoples life savings. And I don't. When it did, I did buy them. Let me ask you this. Would you go to a car brand and by a base model car, for the same price as a car that has lots of bells and whistles? Ok, take whatever car you like and comsider its price with the fetures you have vs its price if it was a stripped down basic car. Let's take an example. Lets take a Merceded Benz C300 for roughly $35,000. Now would you for and buy a car from another brand for teh same $35,000 and yet it didnt have any of the features beyond the basic stripped down car for the same price? If no, then why do the same for a phone? Consider, it costs Apple $250 to make an iPhone. It cost Samsung $280 to make a Galaxy S. Compare feature for feature and look how much MORE I get for their extra $50.00. Yet on retail both phones cost pretty much the same. I am not saying don't buy an iPhone. I am saying, when you spend your money, is you are goign to spend the same, how is a device that does more somehow a less attractive option? That si why I used the car example. If you saw a Ford Focus for $35,000 and a Mercedes Benz for $35,000 and you know a Focus doesnt offer what the Benz has, why would you still be willing to pay $35,000 for the Focus? I am not saying they need to match spec for spec with phones. I am saying that if your phone has a V4 engine and mine has a v12, your car shouldn't cost as much as mine. Got that backwards DUDE! 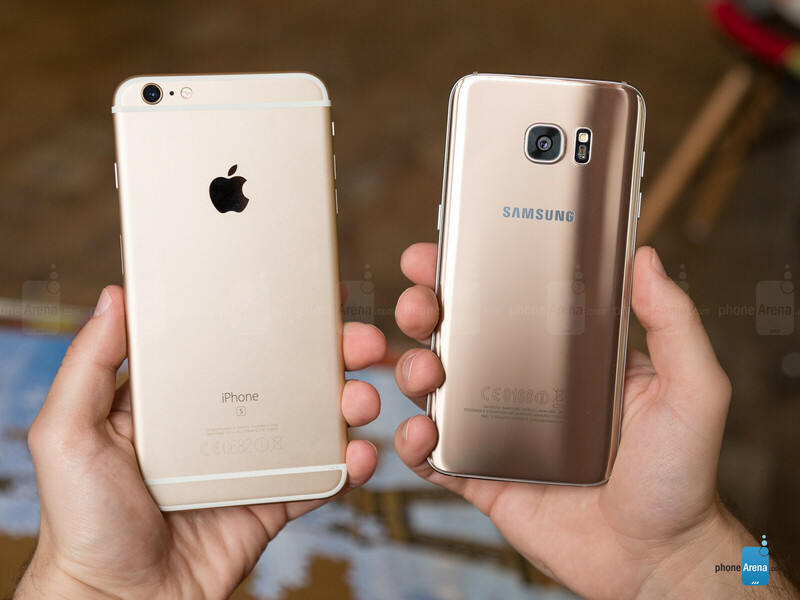 Samsung Galaxy S7 Edge = Mercedes iPhone 6s plus = Ford I know... I have the Samsung, my wife has the iPhone. 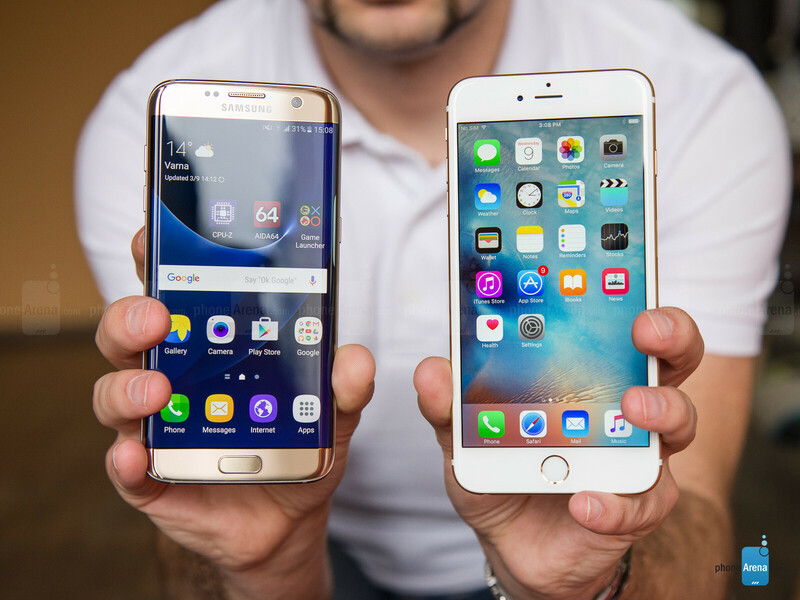 I play with both... Samsung is the easy winner. BTW, iPhone/Apple isn't USA anymore... EVERYTHING is made and shipped from China where they make "cheap" stuff. Samsung isn't from China, but South Korea where they have been making phones long before China. I agree with all your posts on this subject, I go with the greatest bang for the buck, so far Samsung has offered the best there is at the best price, and the brand, to a certain extent are showing loyalty to their customers, I got the waterproof, the SD card, the camera, USB c is a shame it wasn't included but I'm sure they'll have it next year, and best of all the devices are compatible with everything, even iOS lol. On the other hand apple, if you go with apple you need everything to be apple otherwise things will get complicated and stop working, like using an iPhone with a pc, (bad idea unless u know what it doing and are ready to sacrifice more time and money). If you want an iPhone u need a mabook and everyothe apple gadget to make it compatible, if u have a Samsung device that runs android... U need a USB port :) and an SD card reader and an HDMI port, compatible with everything, and as u said the specs are on a whole different level. "No full multitasking" Dude, you can have 10 tabs open in Safari and come back to them anytime. They won't drain battery, they won't dissapear when closing app, or rebooting. They will be still there. Even incognito chrome tabs. Sure, it does not reload in background, but you know still what you were watching. The 3D touch press on the side is very intuitive and when you get used to back swipe for a step back, you'll find the back button clunky and not very ergonomic. Talk about non existent multitasking. It is boring for you because you don't know how to use it. I bet you did not even try. Dude, when a device doesn't have multi-tasking, in a browser window you can still have multiple tabs showing different forms of data. You dont need multi-tasking for this. I can take any operating system and create a way for multiple tabs or windows to be open inside one application without multi-tasking. Windows for example, handles multiple tabs in IE, but simply loading a new Internet Explorer.exe file into RAM and simply displaying that page in the same window. But this isnt the only way. Force Touch is a good idea. However the way Apple chose to implement it was rush to be first convoluted concept. If you go an look at Synaptic own Demo of Force Touch, you can see ways it can be used which are far advanced and useful vs Apple's childish convoluted boring half-assed version of it. I know how to use it because i have an iPad. I compare it to what I can do on my Galaxy Note and my Note is more advanced vs the iPad and the iPhone combined. After all the iPhone and IPad both use the exact same iPhone OS as it has been which makes own both an iPhone and iPad dumb. The same can be said of Samsung. I bought a 10" Tab and a 12" Note. Niether device offered any benefit beyond size. They didnt offer any factor that I couldnt do On my Note. So first I had an iPhone 4S with my Tab 10.1. The big problem was tryign to share data beteen the 2. CANT. Then I did the reverse and got a Note phone and an iPad, again sharing certain forms of data is not possible. Having a small Not/iPhone or a big Note/iPad together still has the same issues. In fact even sharing data with an iPhone and a iPad at the time wasnt as straightforward as it is now. But it is still much easier to share data with even an older Samsung with a new one with no issue vs even sharing data between to brand new IOS devices. THIS IS FACT! 2 simple example. If I want to share a photo deom one iOS device to another, yes I can use AirDrop. It works very well. It si however no different vs WiFi Direct on Samsung deices. But here is the plus. With WiFi Direct I can share ANY file type that doesnt have to be sopecific to any app. I can share an Excel sheet and even if the device does have Microsoft Office, I can still use Google Doc or Hacom office which comes on thair tablets. When I share, that file is available to the app i chose, not a pre-determine default. Default apps is also a big deal to me. Apple forces you to open every http address in Safari. If I click on a link where I know the site contains media that Safari wont load, I have to copy the link and then manually open the browser that I know works with it like Chrome for example. But if I could set that as my default, it would never require me to copy and paste first. If I want to store a doc not in the cloud, I have to install some stupid wifi app and transfer the file to an iPhone using an IP address, then I cant access that file unless I again open this stupid app. That's dumb. Man! many people troll you but the above post makes total sense! Absolutely! Apple is not really USA... everything is made in China. Samsung is not made in China but Korea. You greatly underestimate the "me too" factor. Most people buying iPhones don't know the difference between the latest TW and iOS versions. True. But that shouldn't matter. Exactly! Which is the problem. When the iPhone first came out, it was the best in its class of device, so buying one made sense. But this is no longer the case. I am not saying you shouldn't stick to what you are use too. But what I do see is this and tell me if I am right. For years I watched iPhone users say how they want an open file system, they want larger screens, they want more features, and yet Apple had basically not listened. But did these people switch? Most didn't, they just kept buying whatever new iPhone appeared. Brand loyalty is good for Apple, but bad for you. You should only be loyal to a brand if they are being loyal to you. If you want something and the brand you are buying doesn't offer it, then why keep buying it? To me that is dumb. All these OEM's give us the option to come to their site and give them direct feedback out their devices. They do this to get an idea what they should bring to the table. Apple has watch its users ask for larger screens for years and they fialed to bring it until 2 years ago. But peopel kept buying them. So Apple thinks, well a big screen can't be improtant because they keep buying them small and even now they have a big screen and 50% of the people still own older iPhone models. What made Apple go big? Because Samsung after 2 years drove every OEM to make a bigger phone and the year before Apple made the iPhone 6, 75% of the phone sold in the previous year were all above 4.5". Apple knew that big screens were a money make and as soon as they made one, 75M people bought it the very first year. Now Apple has played their last ACE...what now? All they can do now is bring to the table what others had for years and those stubborn users who always wanted Android features, will now get them on some level on an iPhone so Apple will get the majority to stay. But if you ask a company personal year after year after year to bring something an they dont, how many times do they have to ignore you before you decide they aren't worth your money? There is one way to ensure they listen, make them have a bad sales year and they will give you what you want or they will die. Ask RIM, ask Palm, Ask Nokia ask IBM, ask Microsoft. These are all guys who felt they were to big to fail in something, until they did. if this is what it takes for Apple to become #1 again, then I say let them fail. Either they will wake up or end up just like Nokia and RIM or where HTC is headed now. @ TechieXP1969 ... Tell u somethng u r tech nerd and i completely respect that bt der z a large group of people in the world who doesnt think lyk the way u thnk or doesnt go with every new tech phone that comes in market.... There are more people who want to stick to their phone for 3-4 yrs... dey dont c 4k recording ....dey dont bother QHD display or big phablet . i am no apple fanboy bt i tell u when it comes to durability and performance as in for long Apple always had an age over android . Just tell me how many people buys "S" starting line phone now or still using phones lyk S3 or S4 which came around 3-4 yrs ago.....most of them didnt evn get a kitkat update .....either people upgraded to other brands or to S5 or S6......but u compare that to Apple ther are still a lot who uses the 5 and 5S which came around the same tym.... and mind u m nt saying here abt Tech m talking abt durability. My mom gt 5s which she got around Nov 2013.....and its still an awsme device . it is crisp with ios 9 and it can easily go on till 2017 with ios 10 support. it handles almost every applicatn nicely can play normal to heavy game which a mid to high end android phone can handle.... and still a decent shooter , may not compete with any high end ....can give run for money to any mid ranger. so my point is someone who is not a techy and want to remain stable with his device whats wrong with apple. And evn i dont thnk paying a 600-650$ for a phone is not worth it if u know ur phone can go 3-4yrs easily without any hiccups ya i believe techno wise samsung has gone far ahead than apple. The brand is almost everything for Apple's sales. The software is different but not better. The S7 certainly is a beast hidden in beauty. The iPhone isn't any lesser. It's a beast in its own rank. But I would take an S over it any day. Out of all the Android phones that compete against the iPhone, the Galaxy Saturday is the only one that has remained close to its roots and has shown great potential. Other OEMs have basically stopped competing with the iPhone and are trying to establish their own customer base, but I don't think it's working. 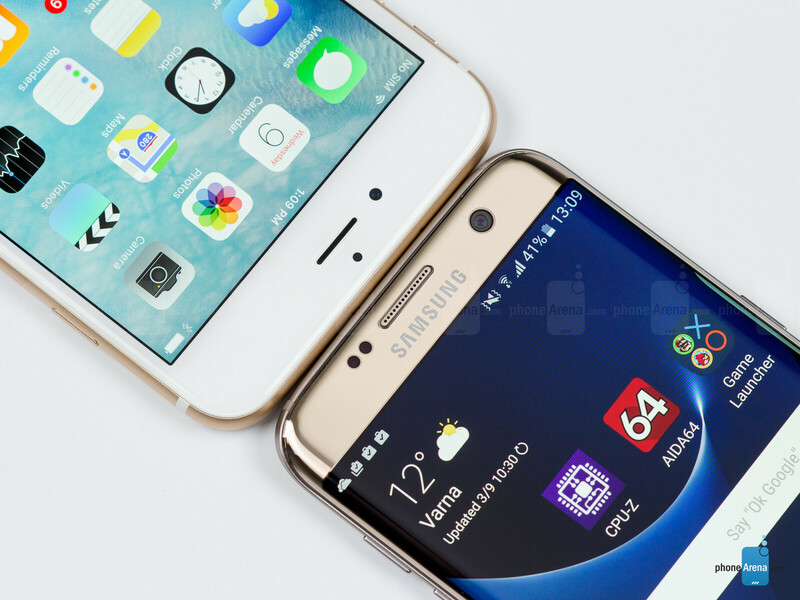 Samsung is doing well considering what it's up against. They Varela fighting to battles. Trying to stay on top of all these Android OEM, whom it also sells components too and compete against Apple who is also a business partner. PA still don't want to admit that their battery test system is flawed. Go check XDA, people are getting an average of 7hrs of sot, some are even getting 9+ hrs. I ll report my average by the end of next week, and I am sure it will be a different result to the ones posted by PA.